The New SLAM Code 1 and SLAM Code 3 Sailing Shoes are setting the new standard for the sailing shoe market at a very affordable price. The SLAM Code 1Sailing Shoe is only US$89.95. Point Loma Outfitting, the largest SLAM retailer in the US, is set to receive the latest sailing shoes from SLAM before the end of March. San Diego, CA March 18, 2010 -- SLAM's Code 1 sailing shoes are the third generation of technical sailing shoes offered by SLAM Evolving from the successful Code Zero, and SLAM Mistral sailing shoes, the SLAM Code 1 sailing shoes are a high performance lightweight shoe offering more balance and greater control on pitching surfaces. SLAM Code 1 Sailing Shoe Grey/SilverThe SLAM Code One (US$89.95) has a specially designed heel that provides the kind of grip sailors at the highest level desire—it is essentially split into four sections, each one free to move separately from the other. This contouring ability allows for one part of the heel to always lie flat on deck, meeting the angle of attack and optimizing traction. The Balance Control feature offers supreme flexibility to the sole of the shoe as well as adaptability to any type of surface and incline even in extreme conditions. Because of this control the SLAM system reduces stress on the ankle by allowing for perfect alignment and improved posture. Along with a specially designed heel, the SLAM Code 1 sailing shoes have a Torsion Control system with a synthetic shank from heel to ball to promote stability. This helps ensure greater balance. 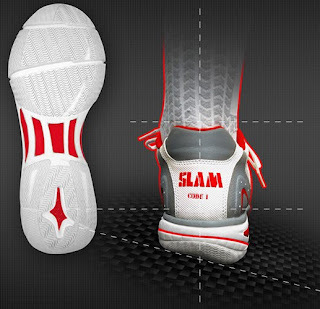 The SLAM Code 1 sailing shoes are Extremely Lightweight. They are made with a synthetic upper that will not absorb water, and has a close cell water repellant insole. 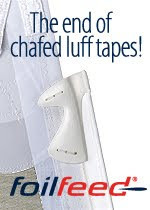 This helps the shoe to shed water and not become heavy maintaining the lightweight nature of the shoe when it's wet. The best part of the new SLAM Code 1 Sailing Shoe is the price! This shoe has a MSRP of only US$89.95! For a technical sailing shoe of this caliber that is an unheard of price. Point Loma Outfitting has been the leading North American SLAM Retailer since SLAM began selling in the US. Point Loma Outfitting sells the best outdoor & sailing gear from Patagonia Clothing, Musto, SLAM Sailing Gear, Gill, Camet, Atlantis, Kaenon and more. On the water, on the trail or around town Point Loma Outfitting has the right clothing for the outdoors.